Congresses There are 4 products. 2 Days Regular Entry E-Ticket for SHIFT Zurich 2018. The summit Zurich is known as a key platform for worldwide leaders and senior practitioners in the field of bio-inspired innovation, business and finance. 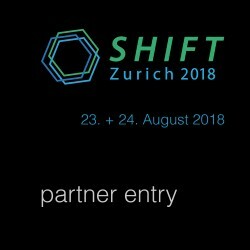 2 Days Entry E-Ticket for swisscleantech members for SHIFT Zurich 2018. The summit Zurich is known as a key platform for worldwide leaders and senior practitioners in the field of bio-inspired innovation, business and finance. Please note that you can only order this specific ticket if you are an industry partner, etc., get in contact with us to clarify. 2 Days Entry E-Ticket for Students for SHIFT Zurich 2018. 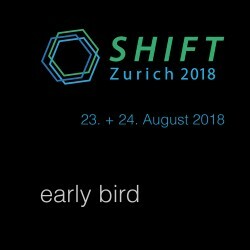 The summit Zurich is known as a key platform for worldwide leaders and senior practitioners in the field of bio-inspired innovation, business and finance. Please note that you can only order this ticket if you are student of an approved university.